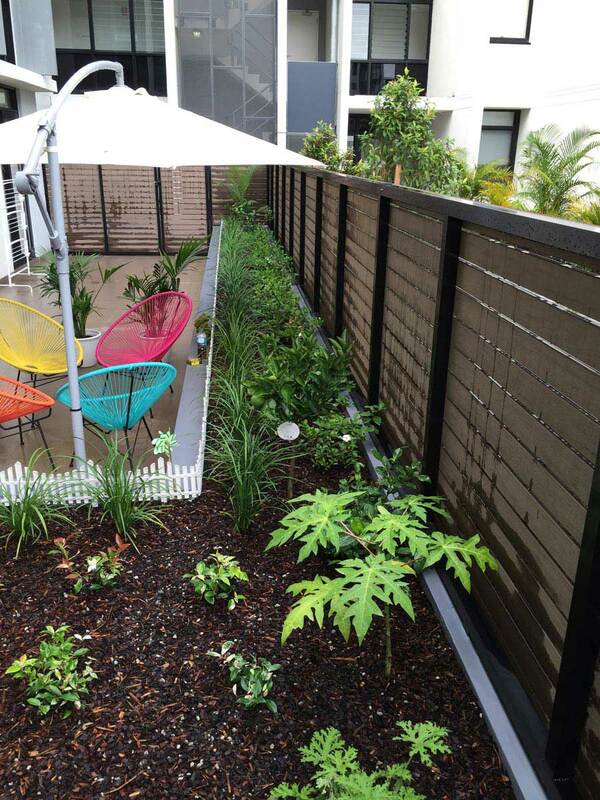 As the name implies, the theme for this ambitious development is outdoor living. 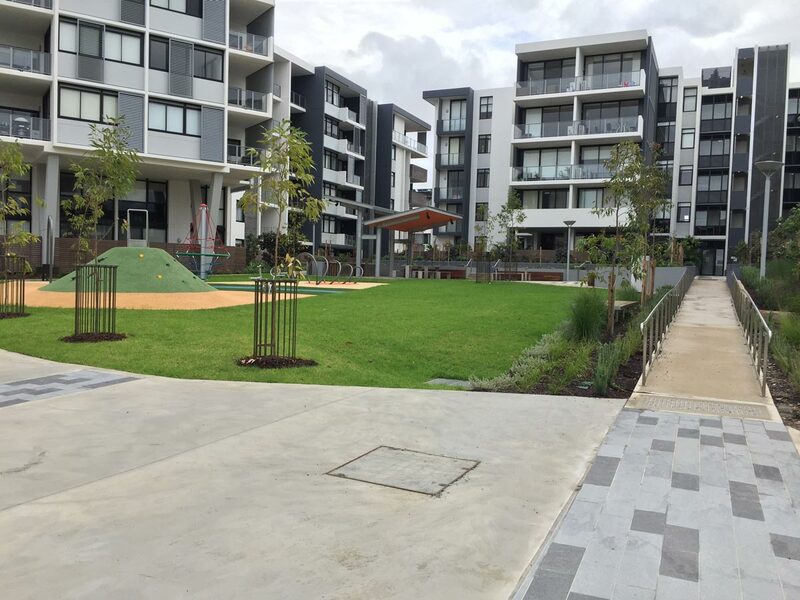 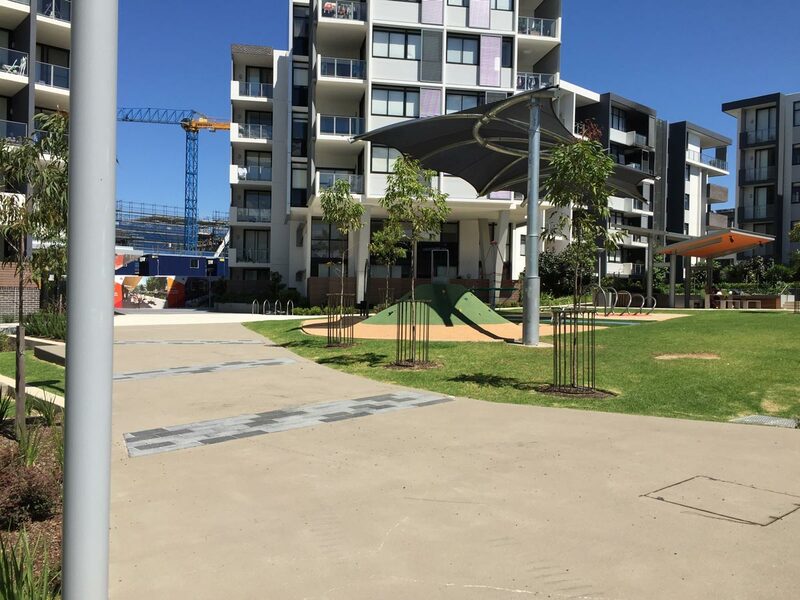 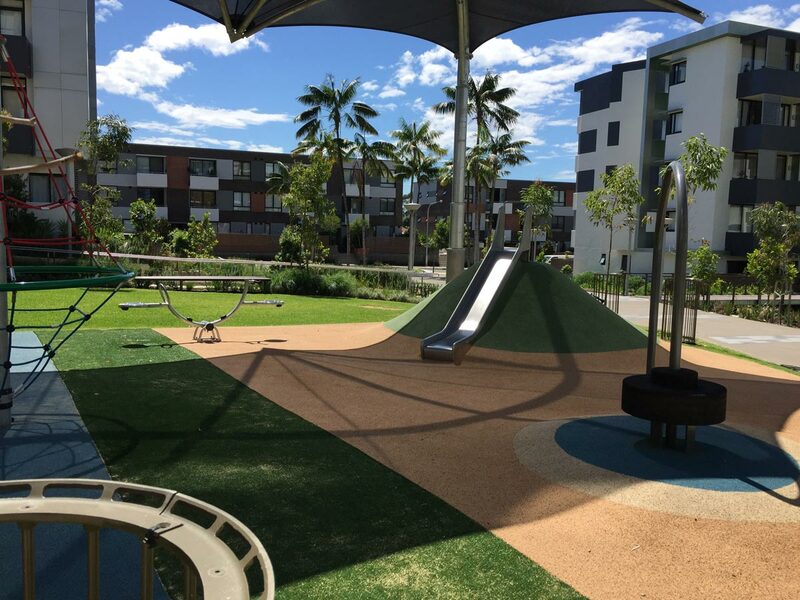 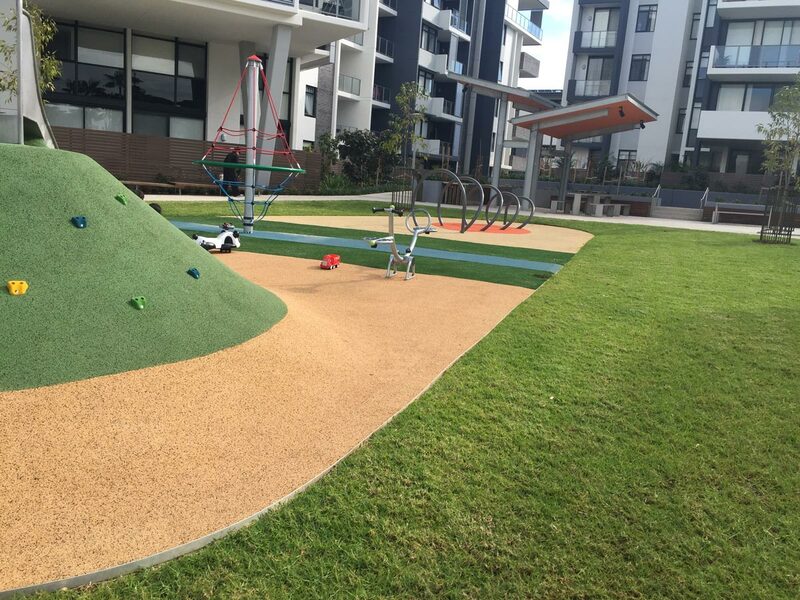 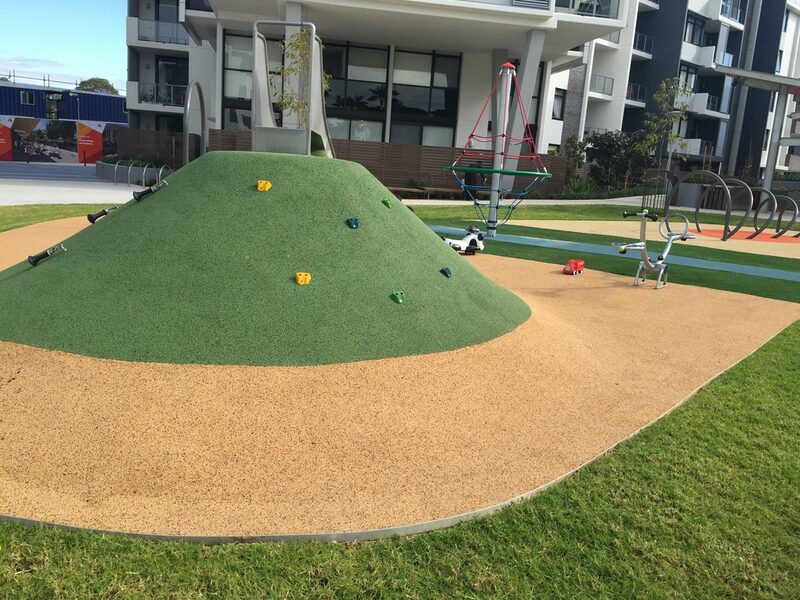 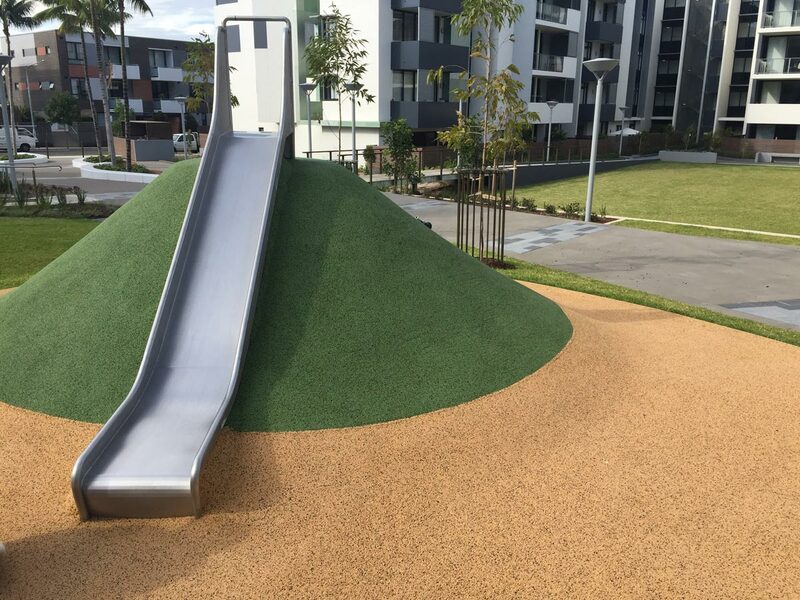 The focus was to create recreational areas where the residents could spend their time playing on the open grassed areas or relaxing in one of the many timber park-benched areas tucked away amongst the various trees and shrubs. 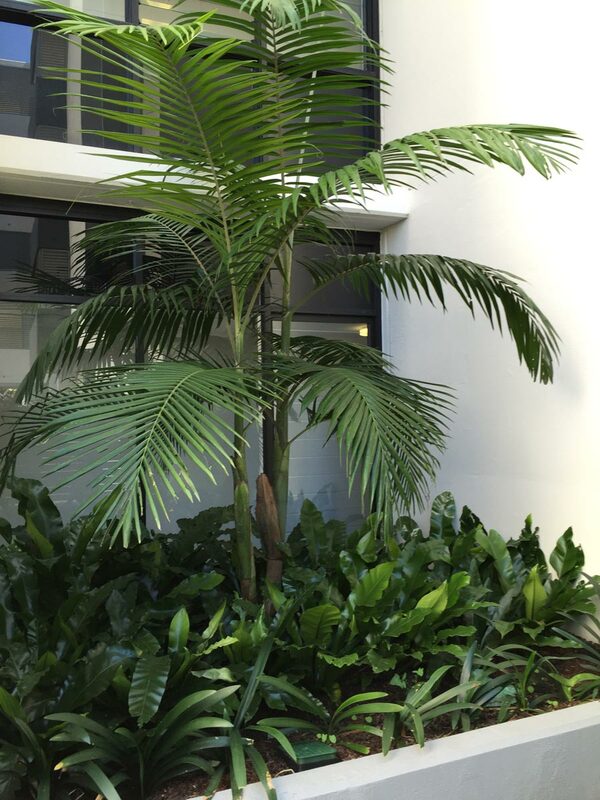 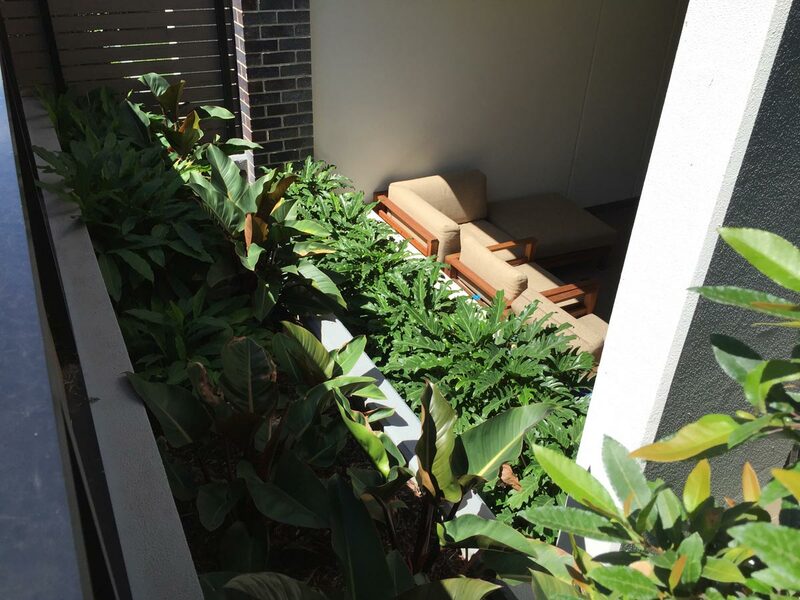 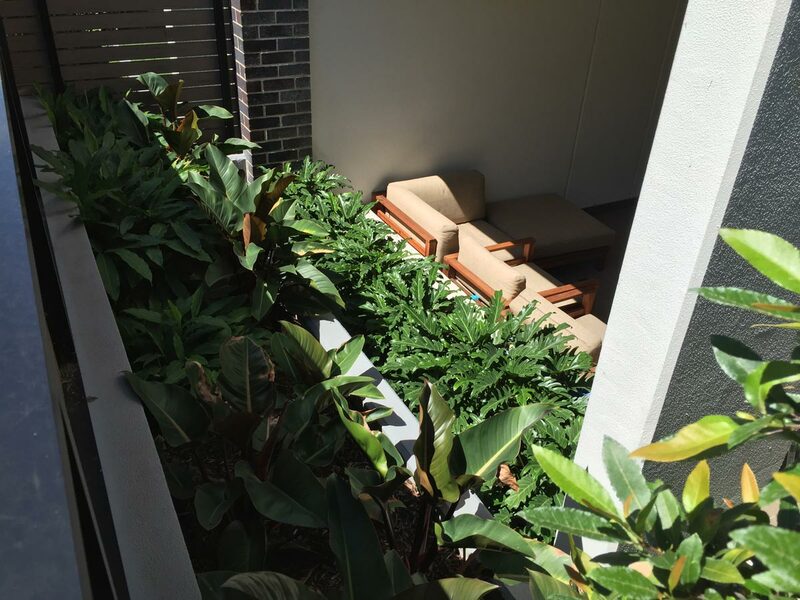 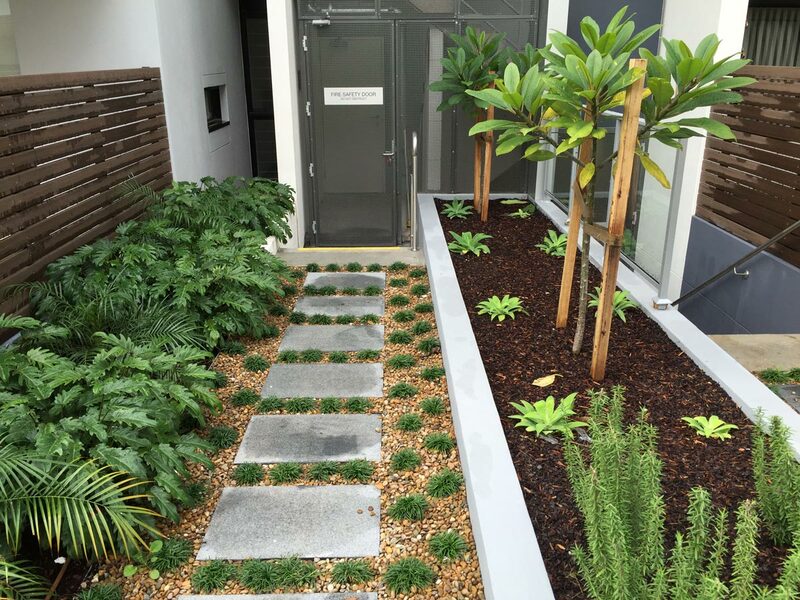 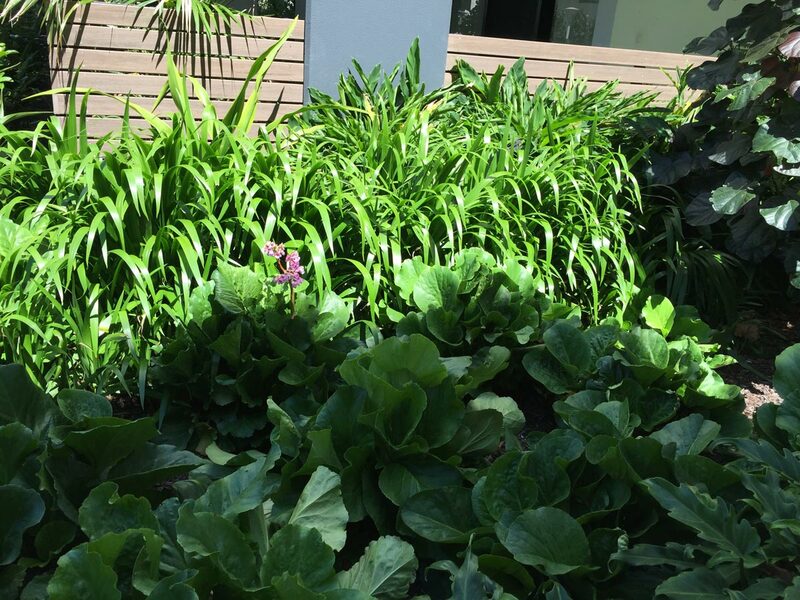 Every plant was specifically selected for its location to create an overall peaceful and tranquil environment. 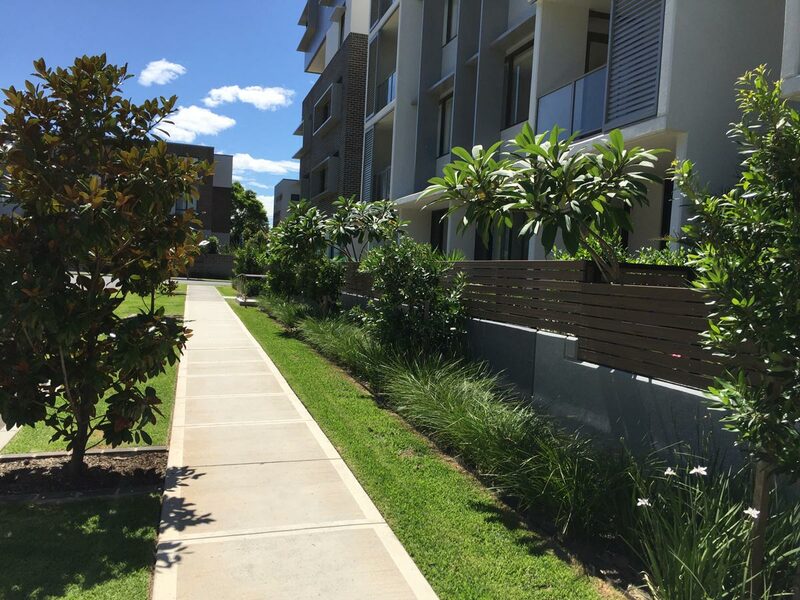 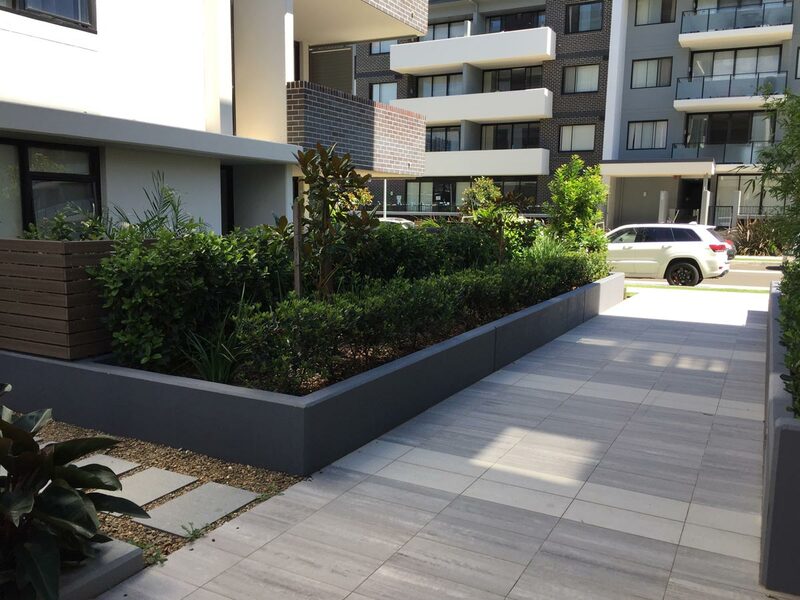 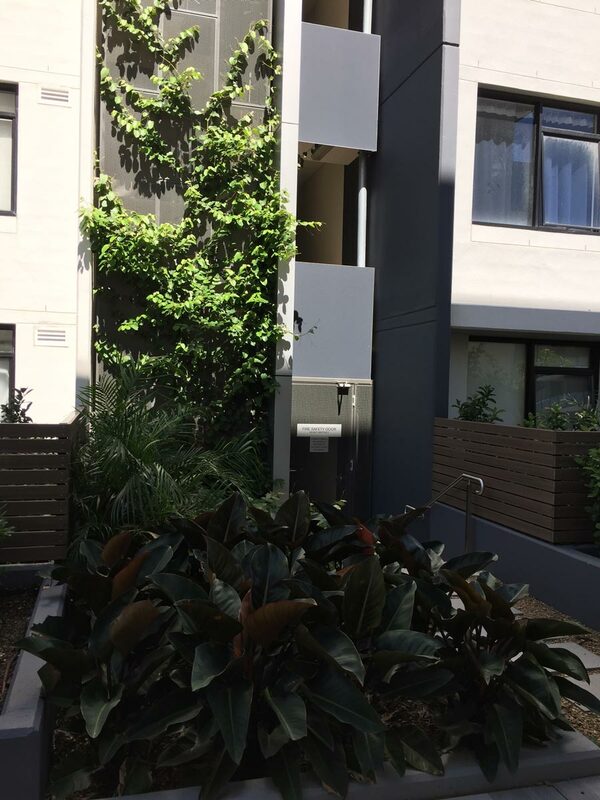 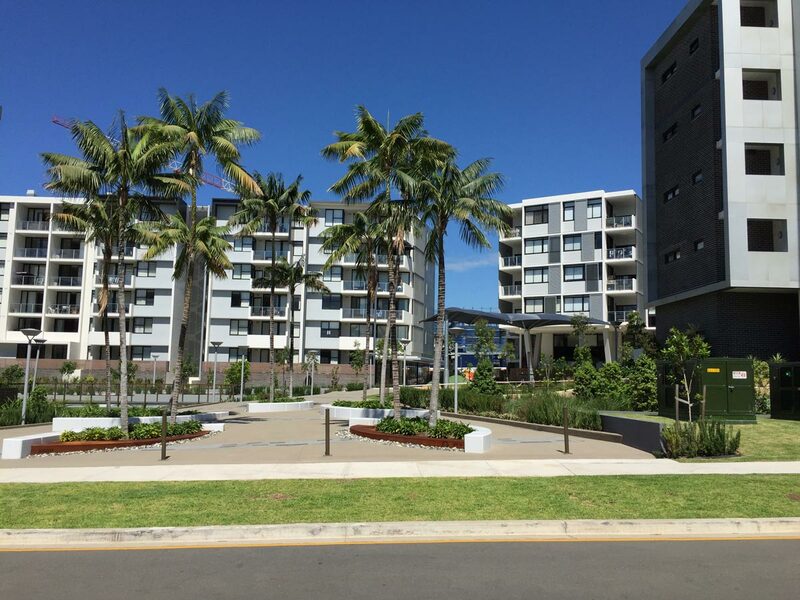 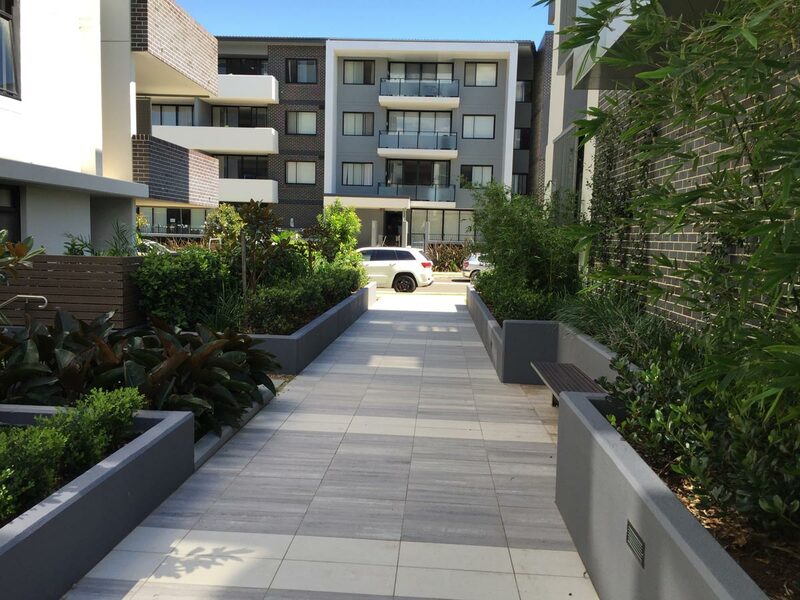 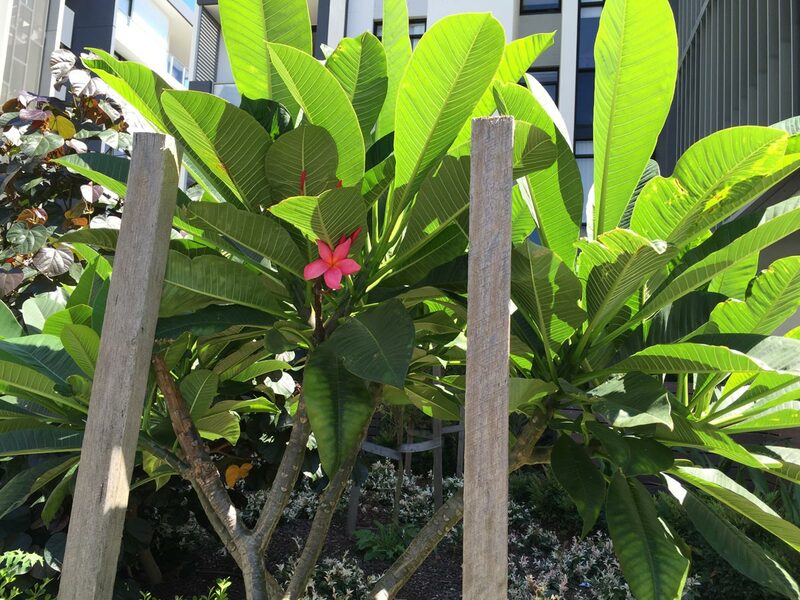 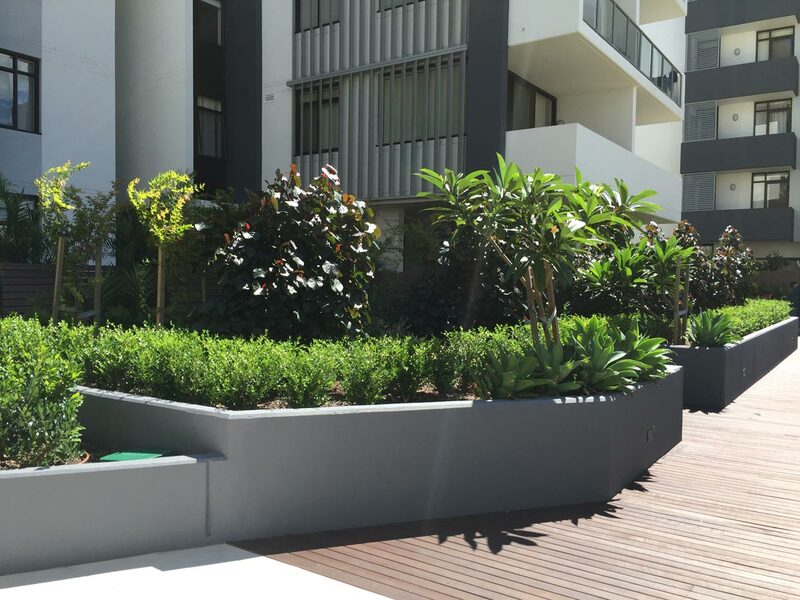 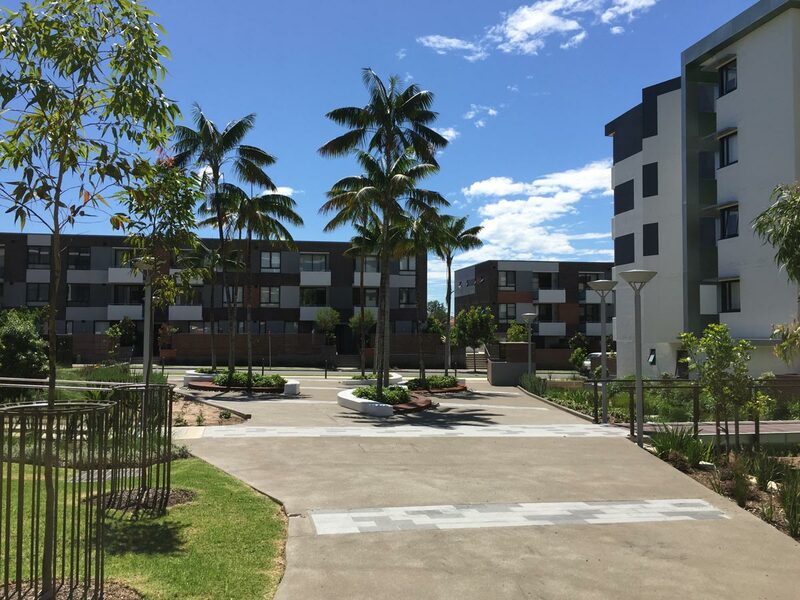 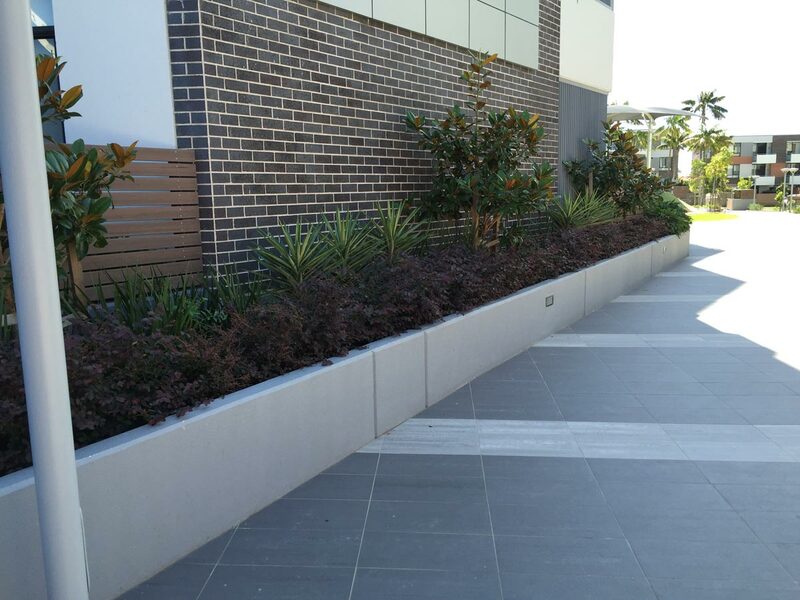 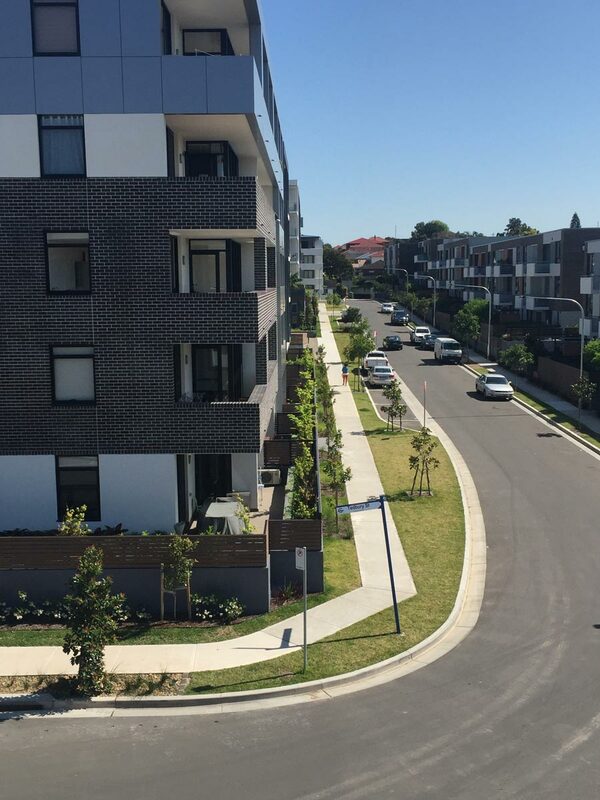 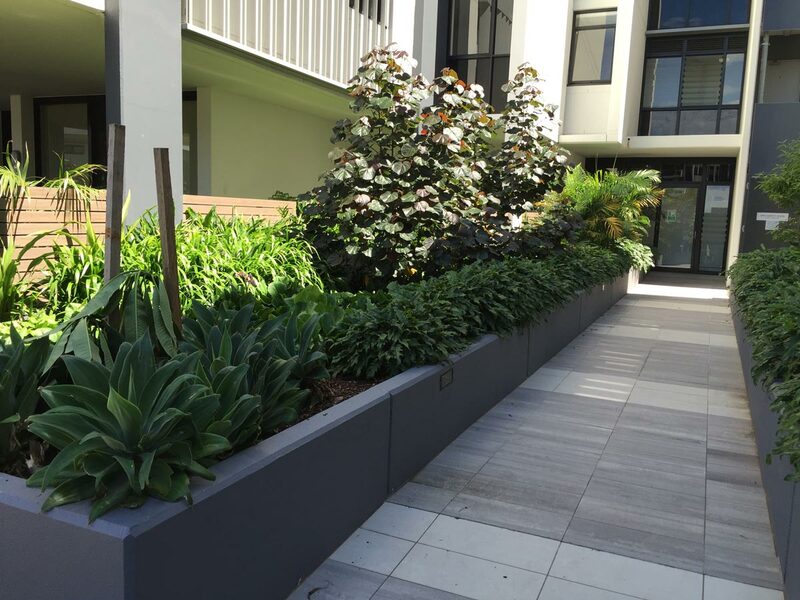 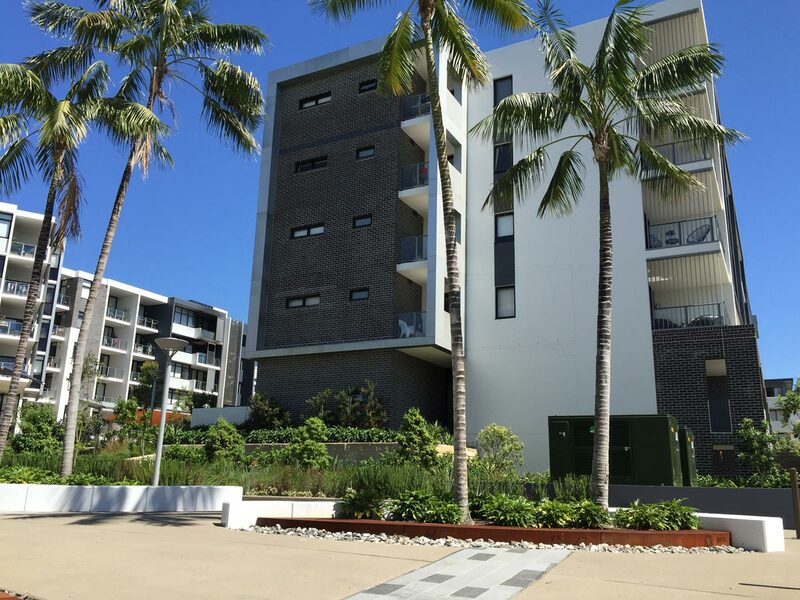 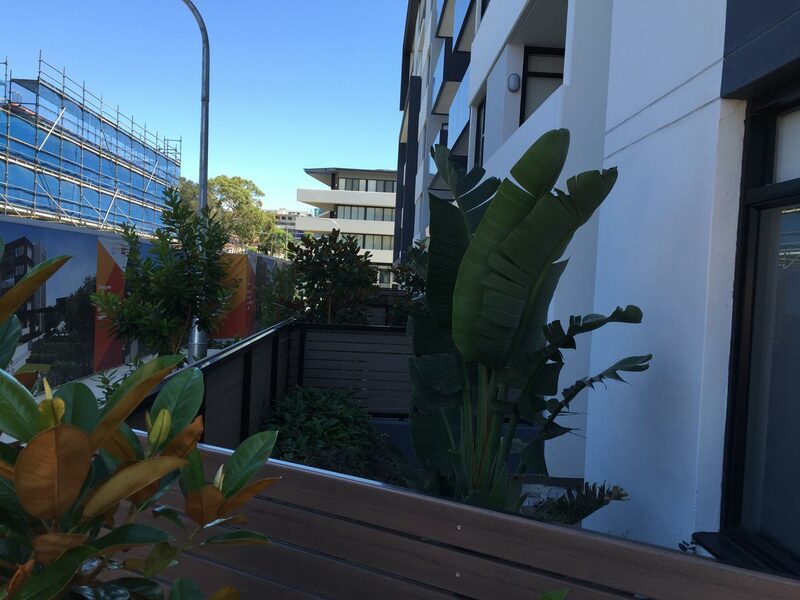 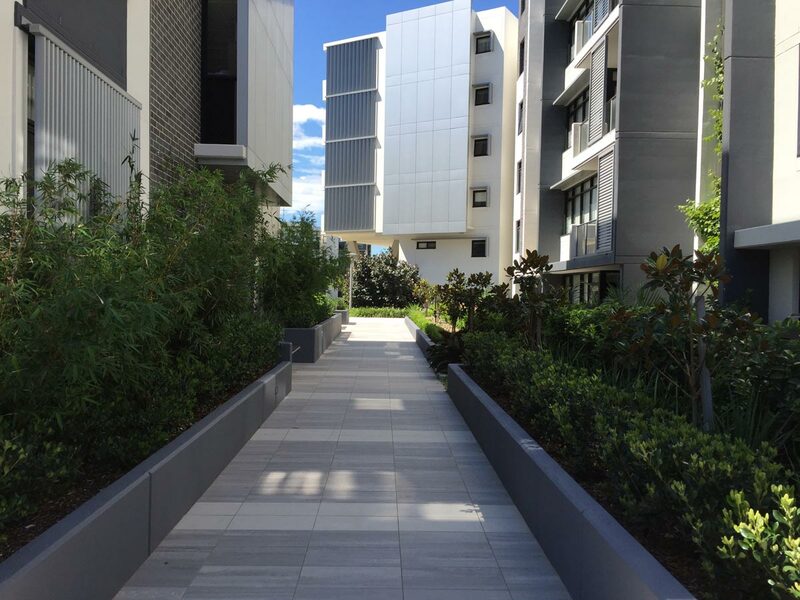 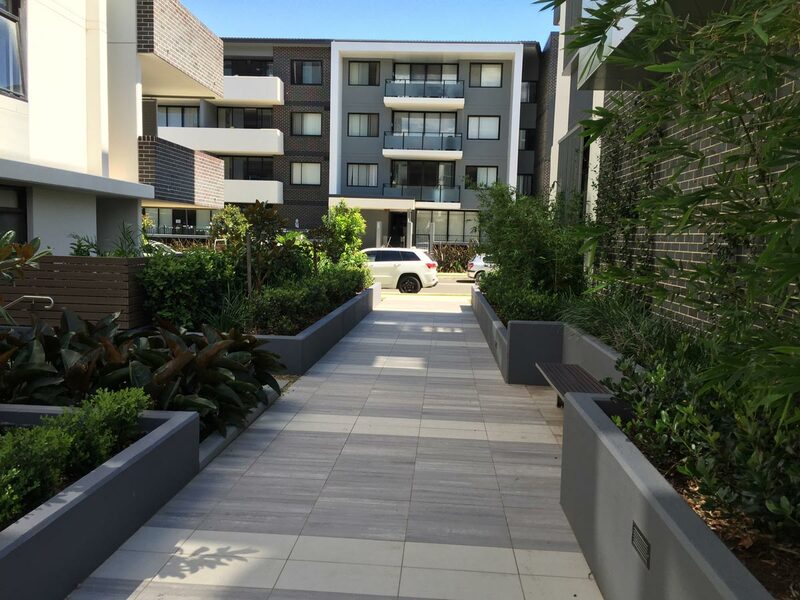 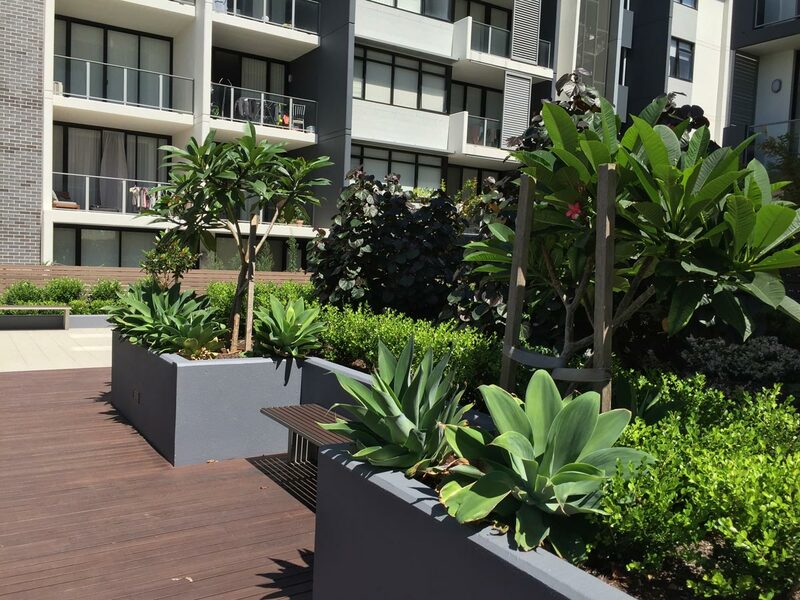 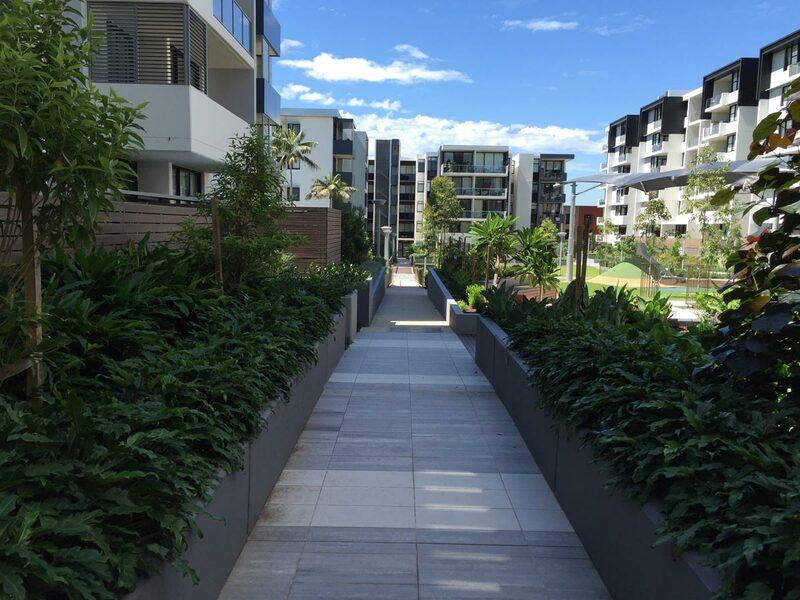 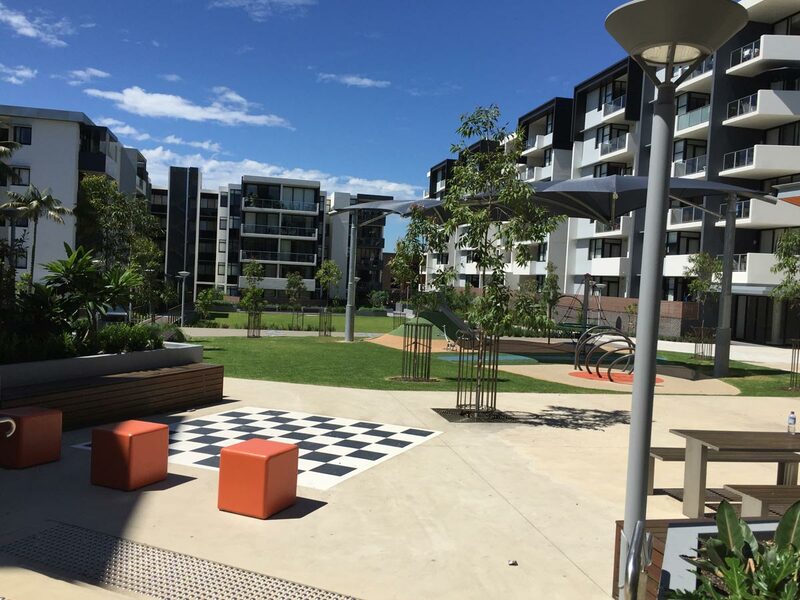 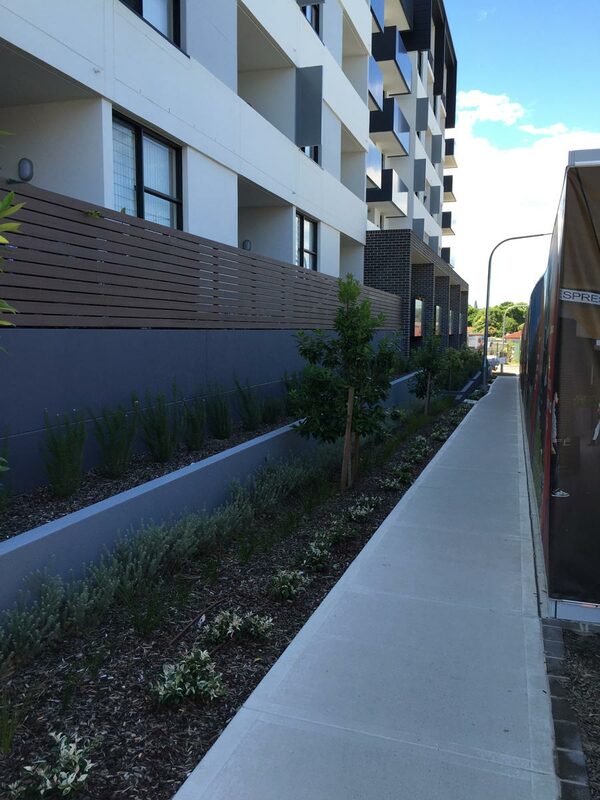 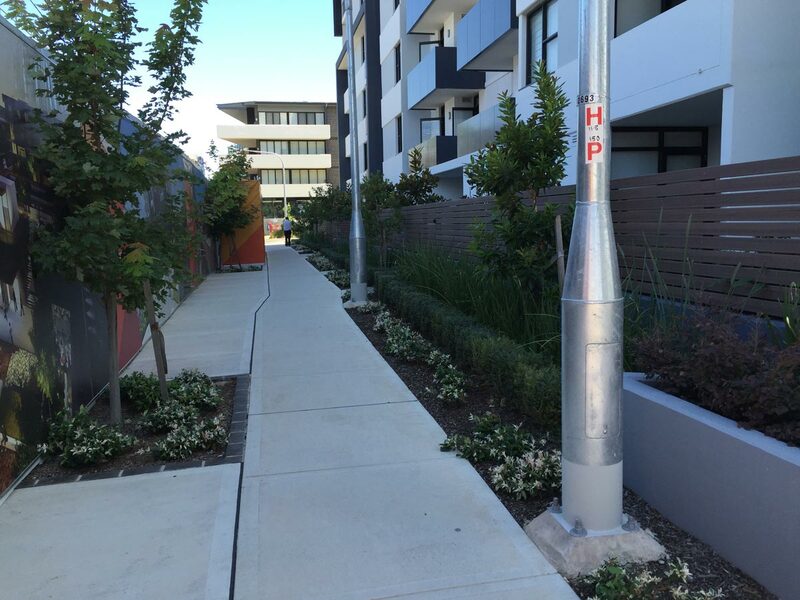 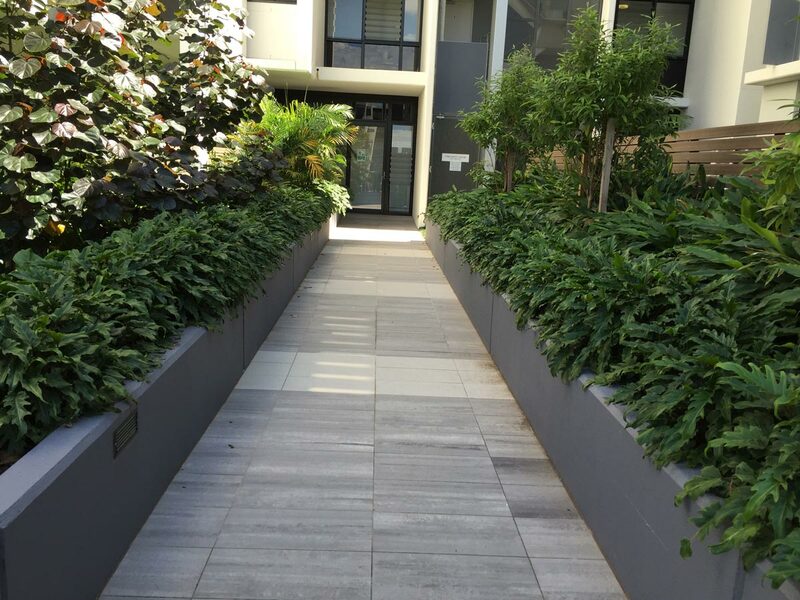 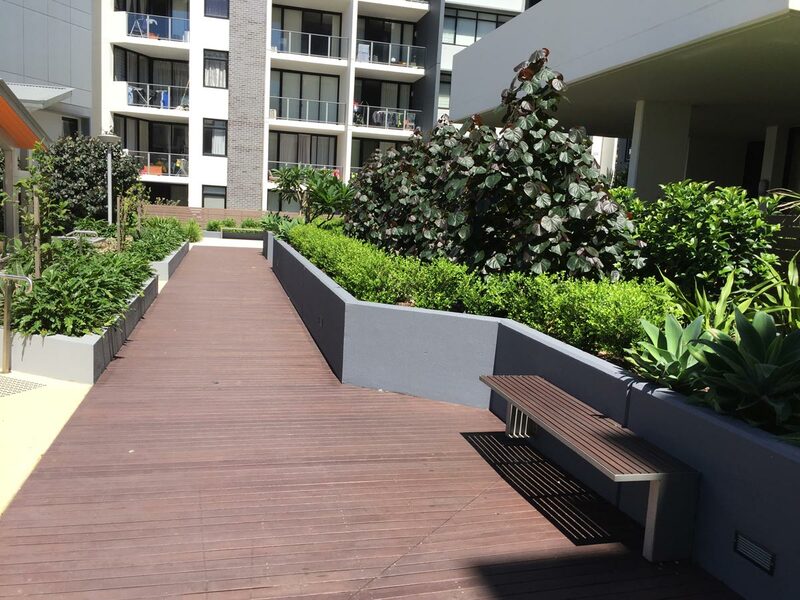 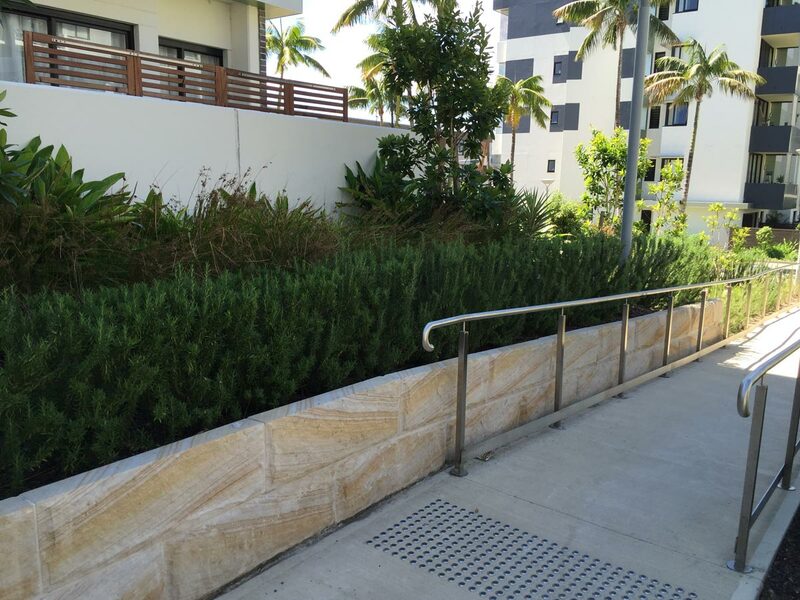 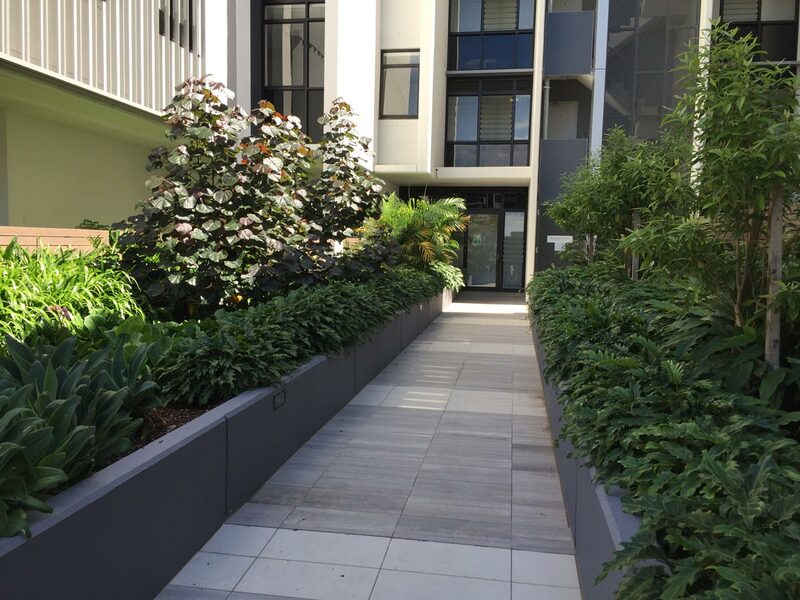 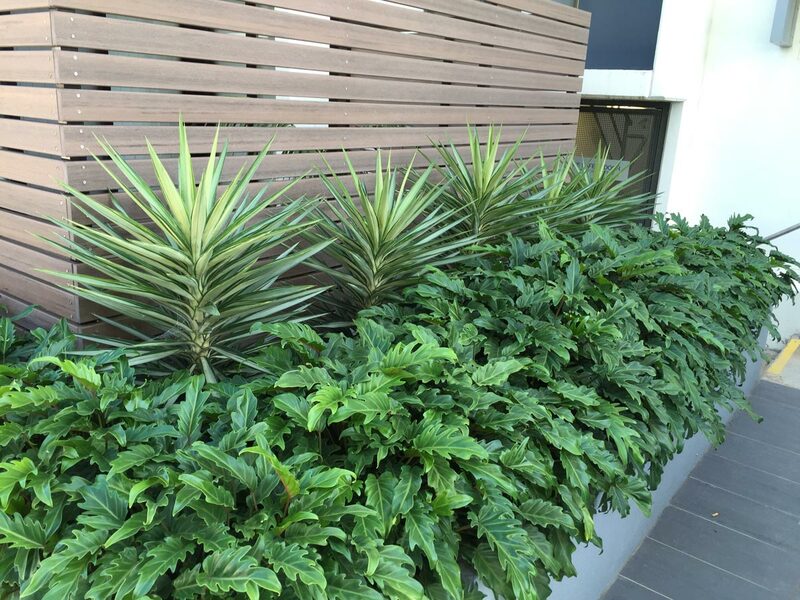 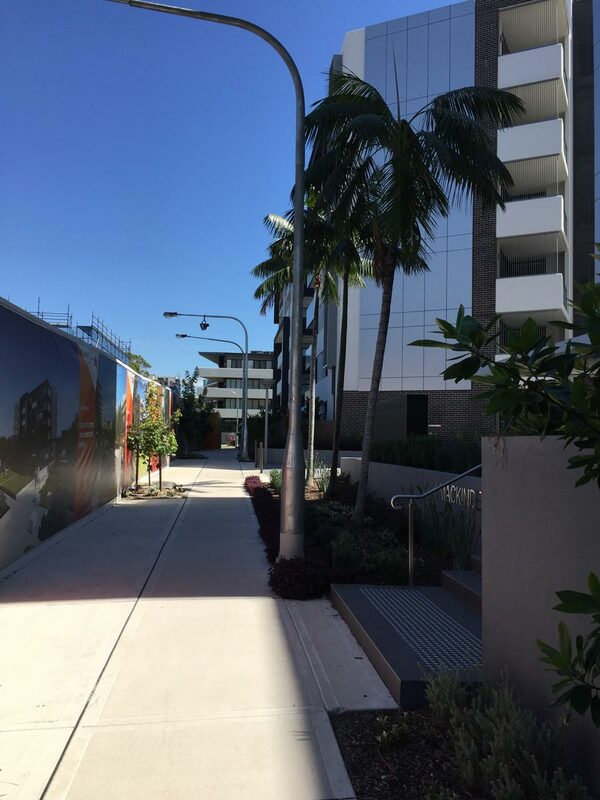 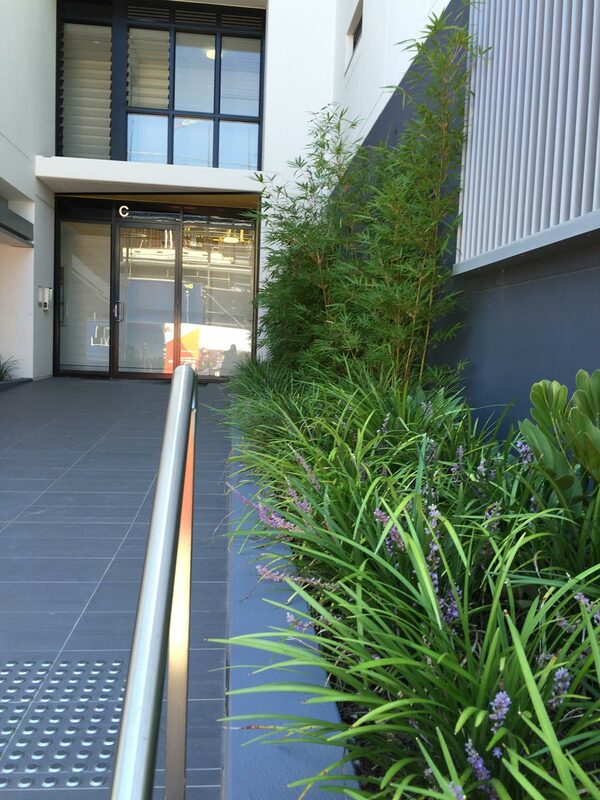 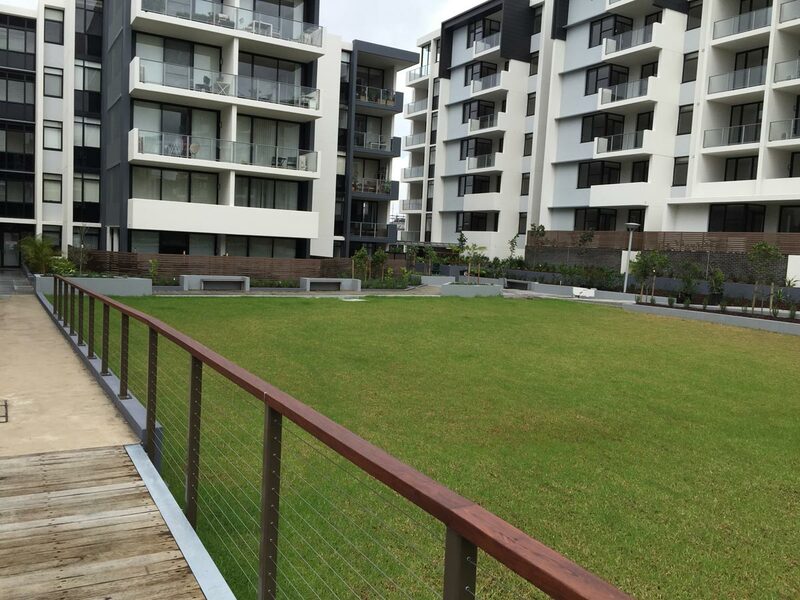 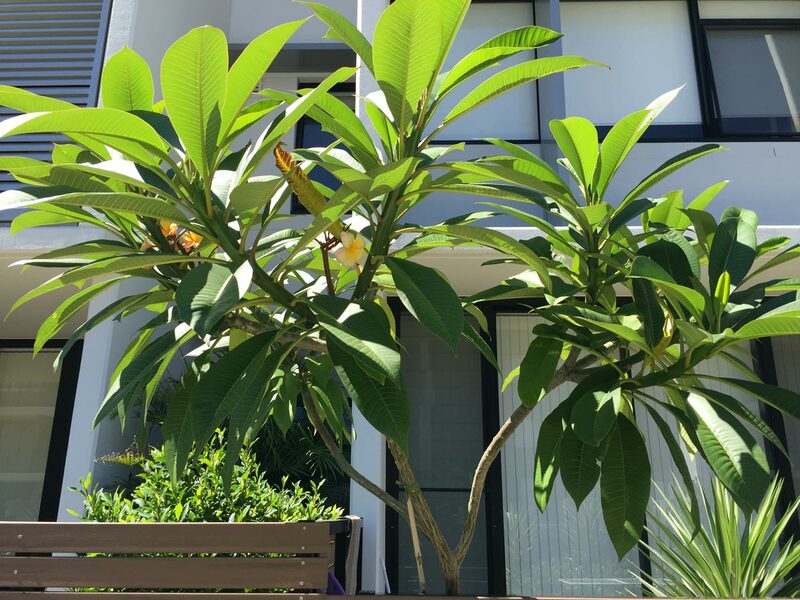 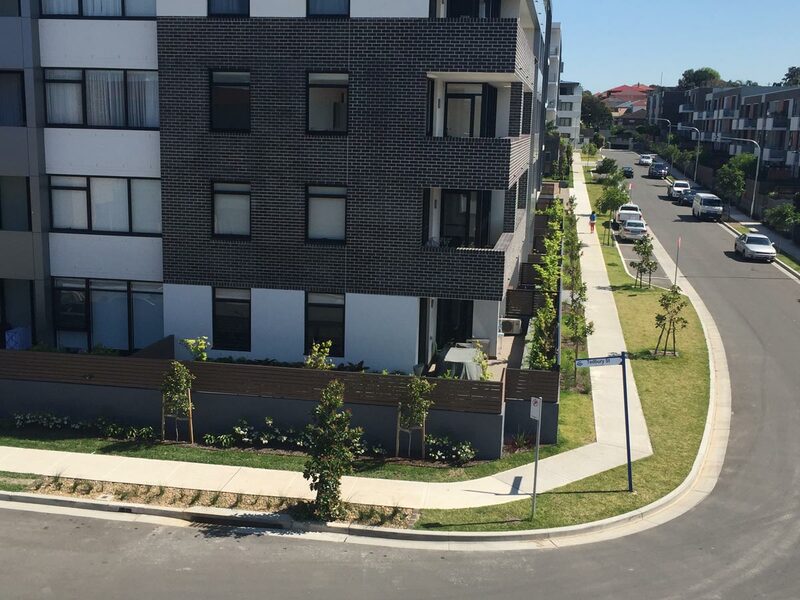 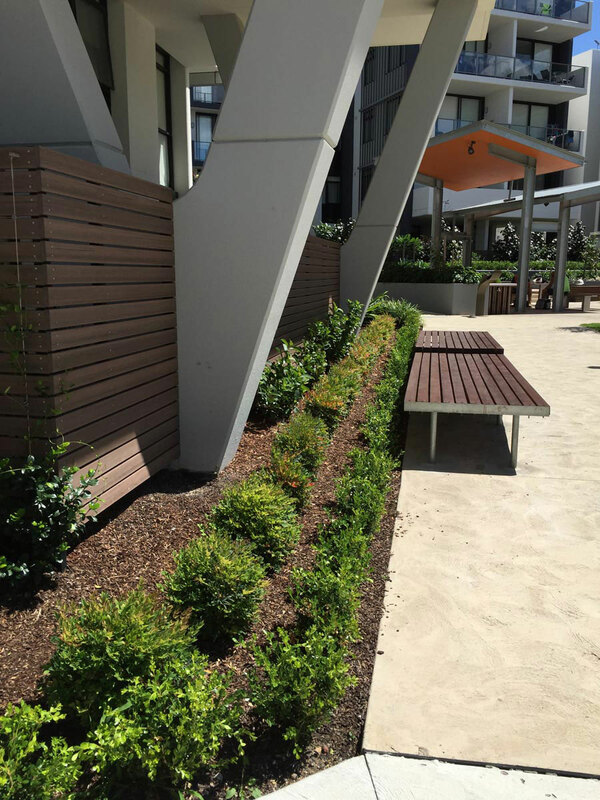 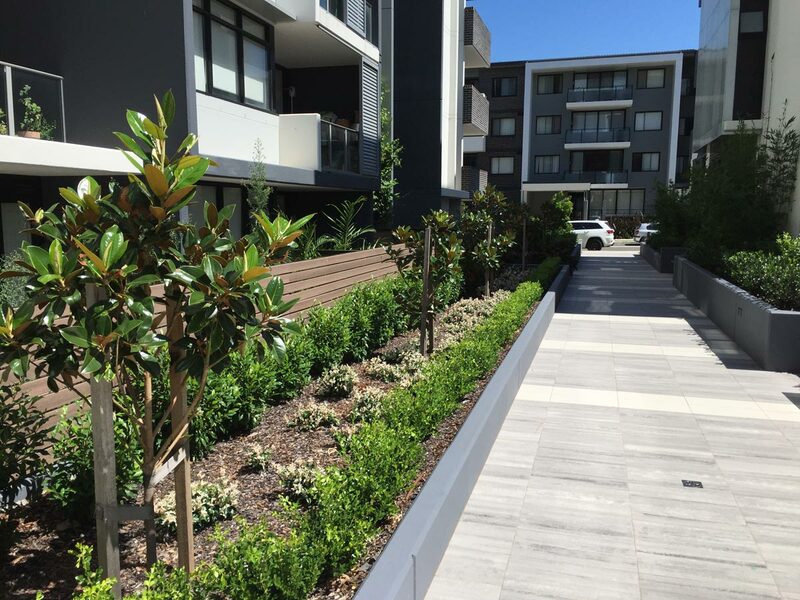 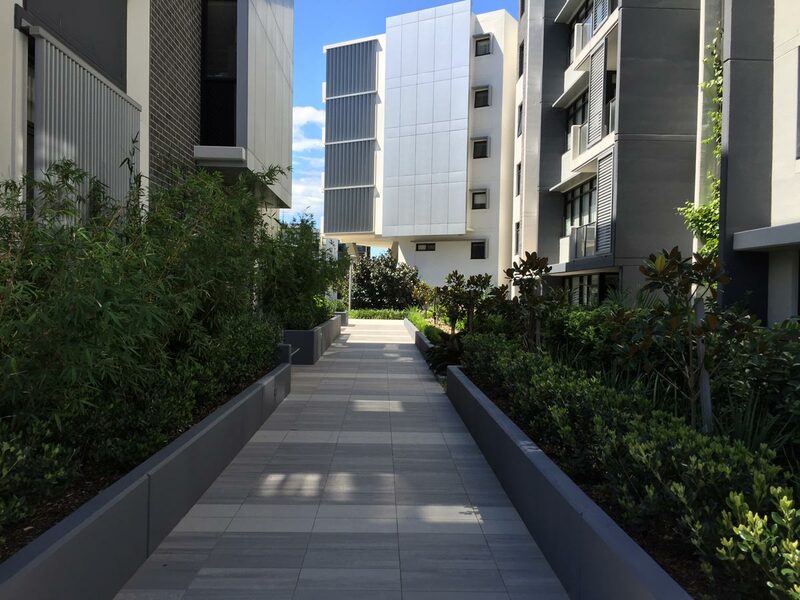 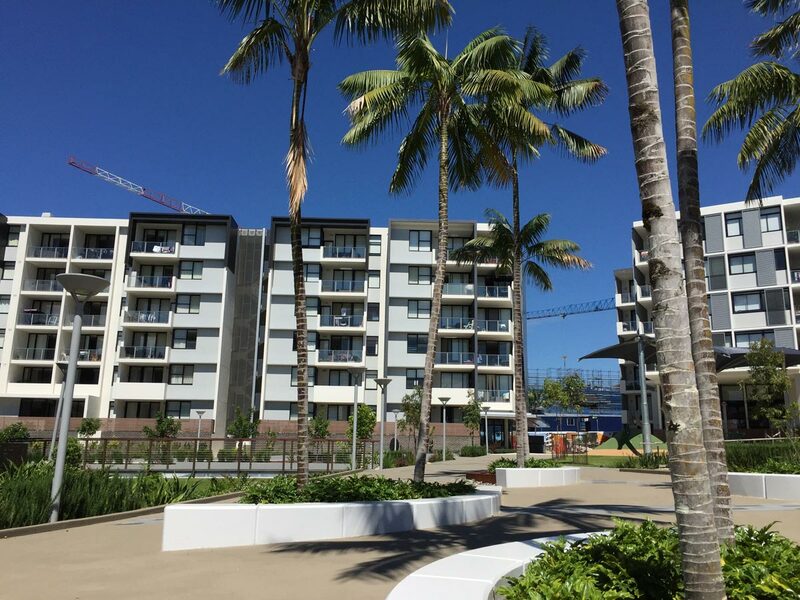 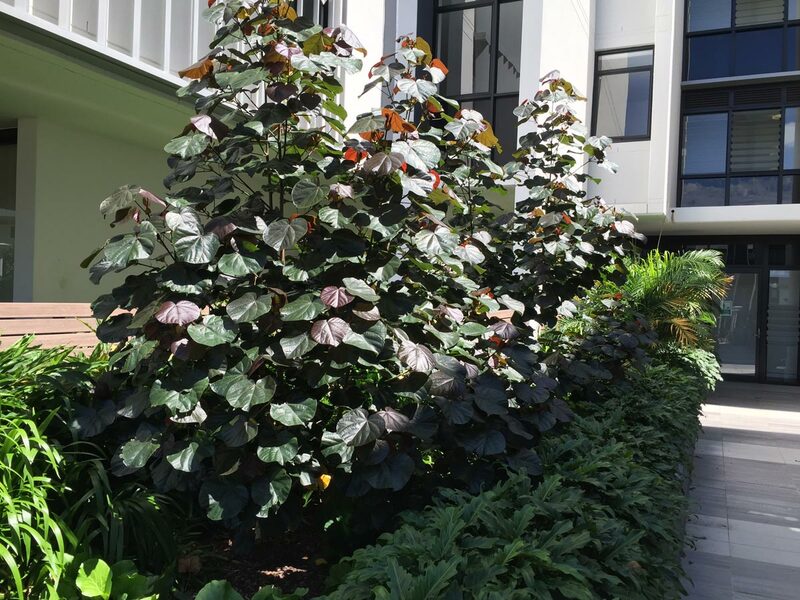 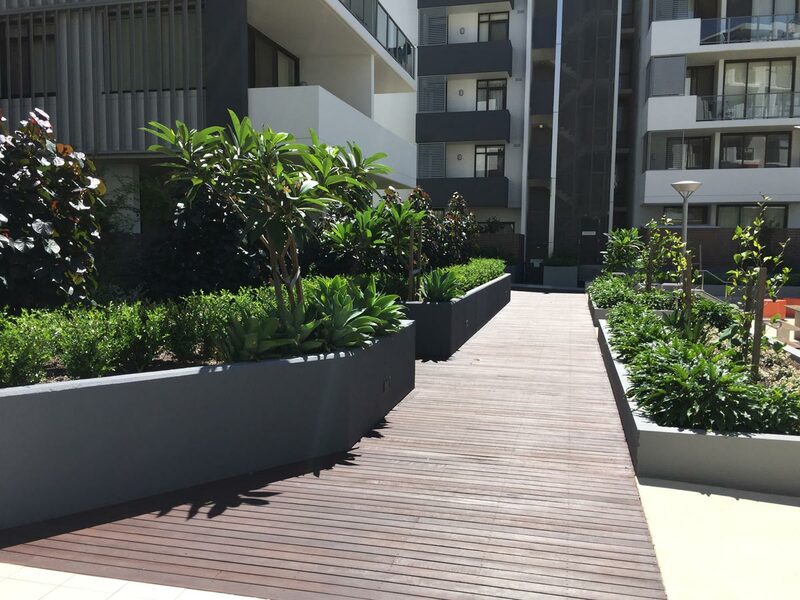 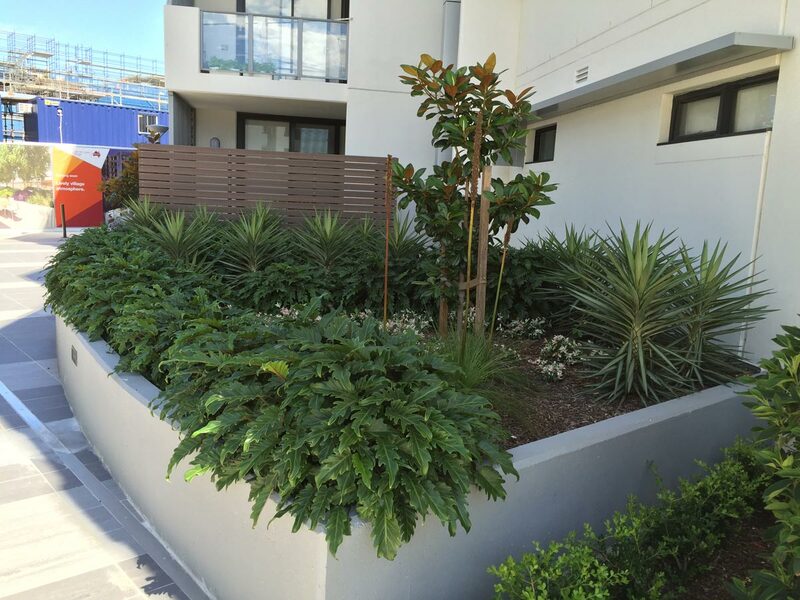 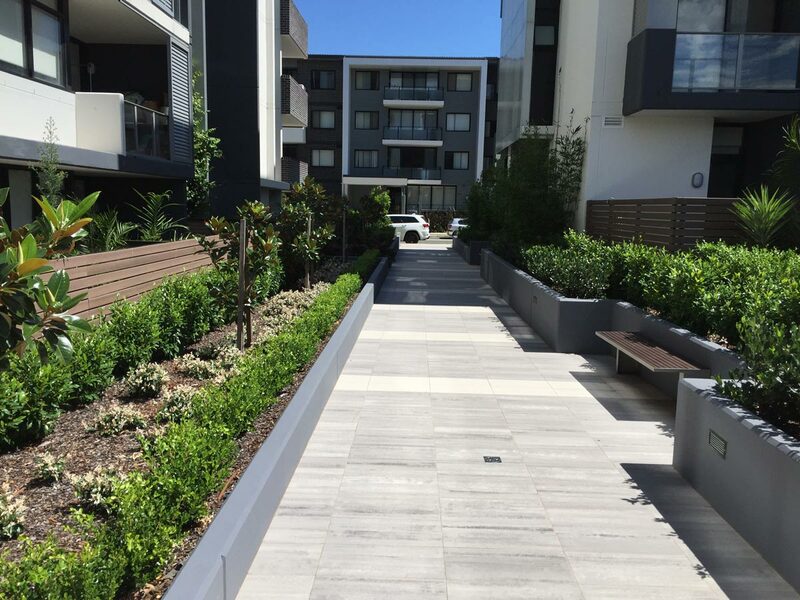 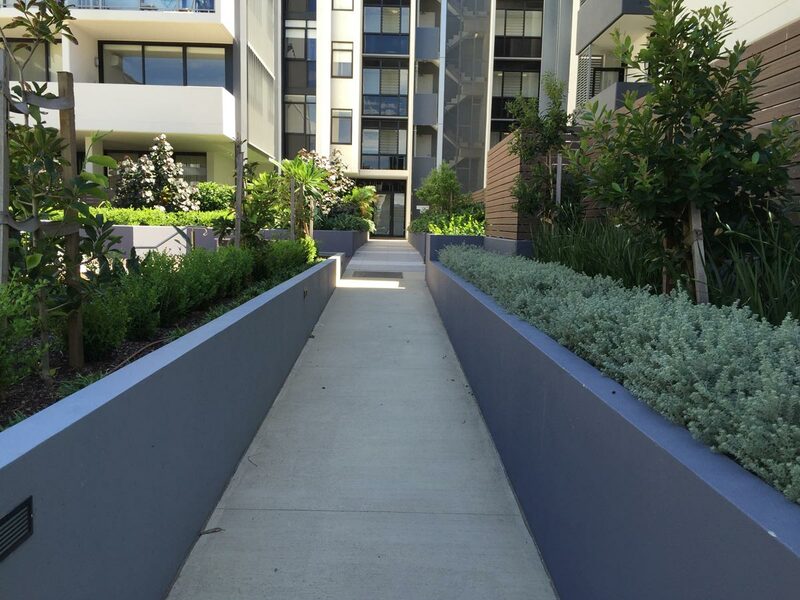 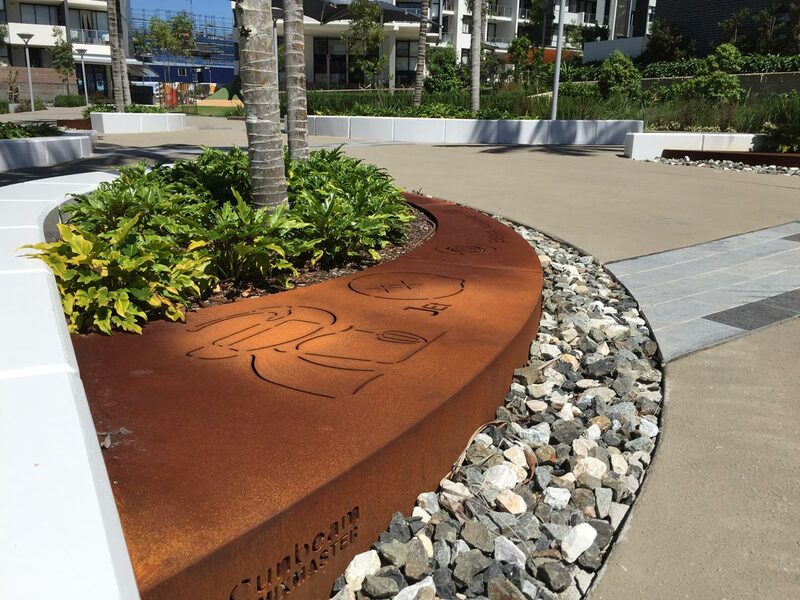 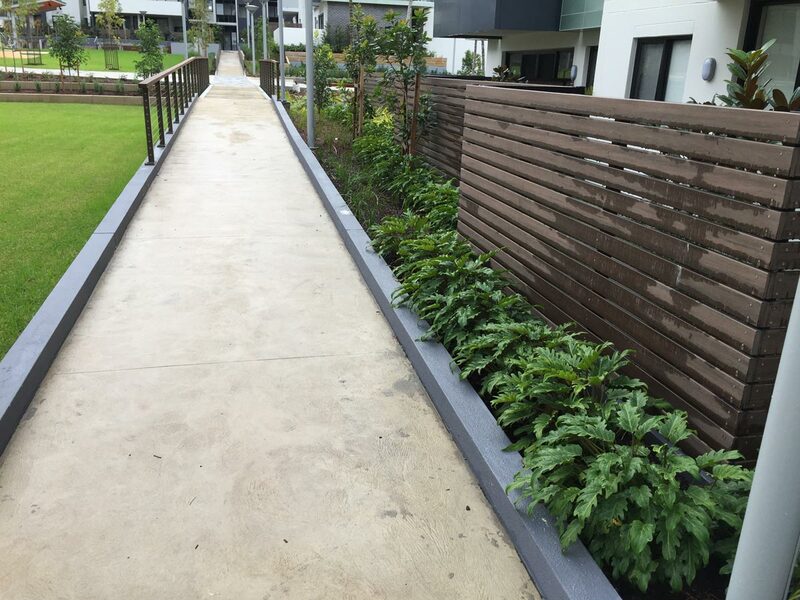 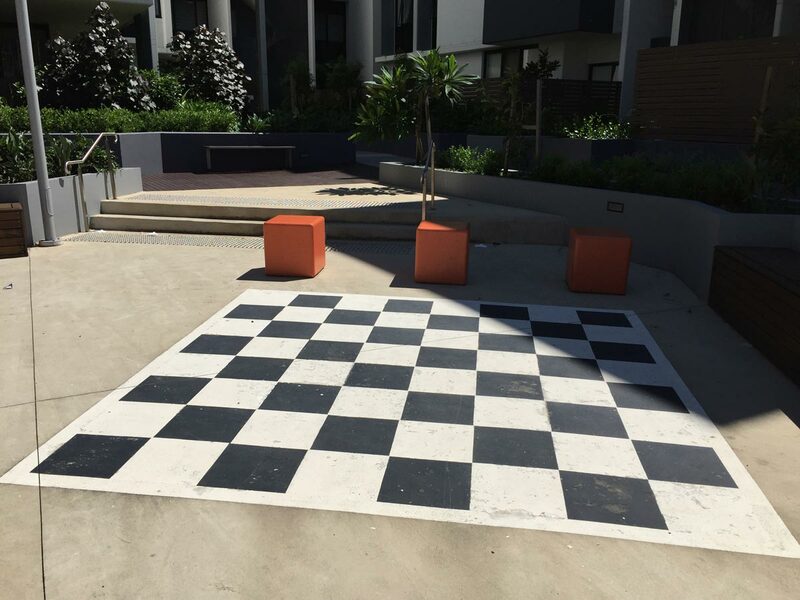 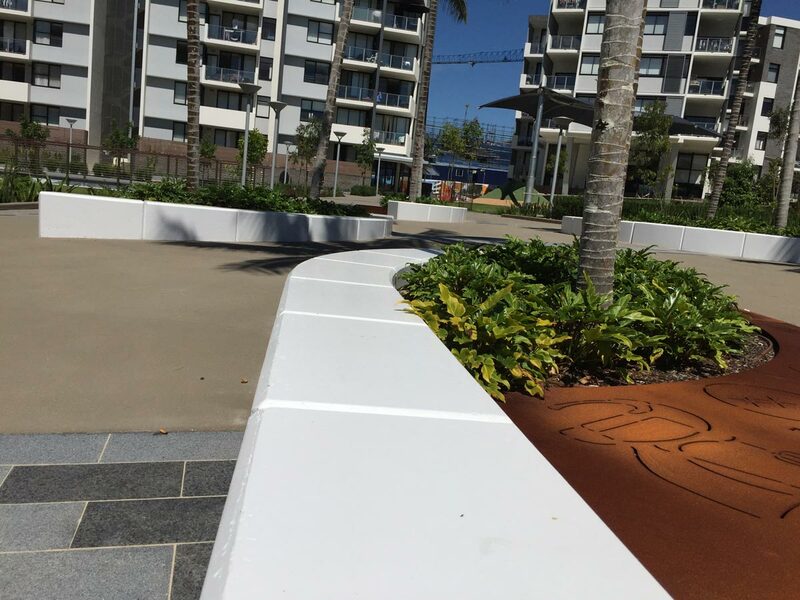 Large mature palms to small colourful perennials and shrubs are strategically placed throughout the grounds whilst numerous planter boxes brimming with flowers and lush colourful vegetation abound along the building perimeter and unit balconies. 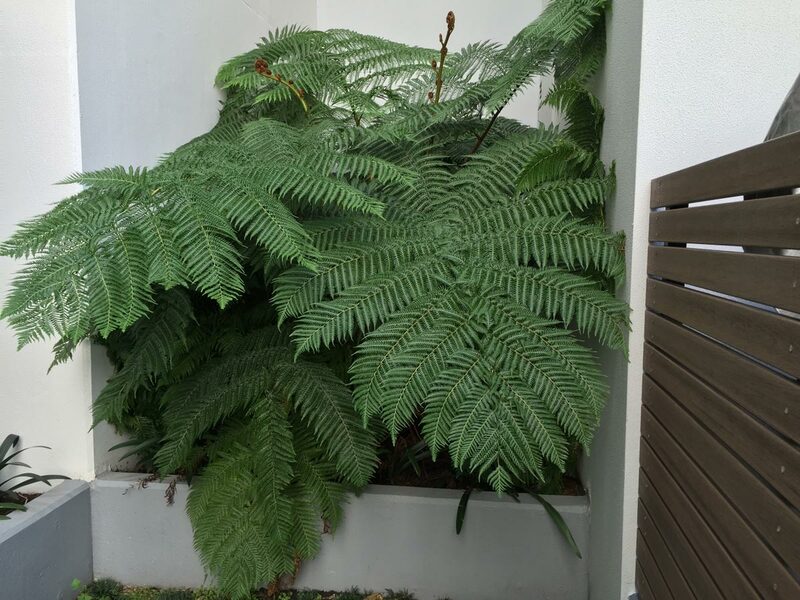 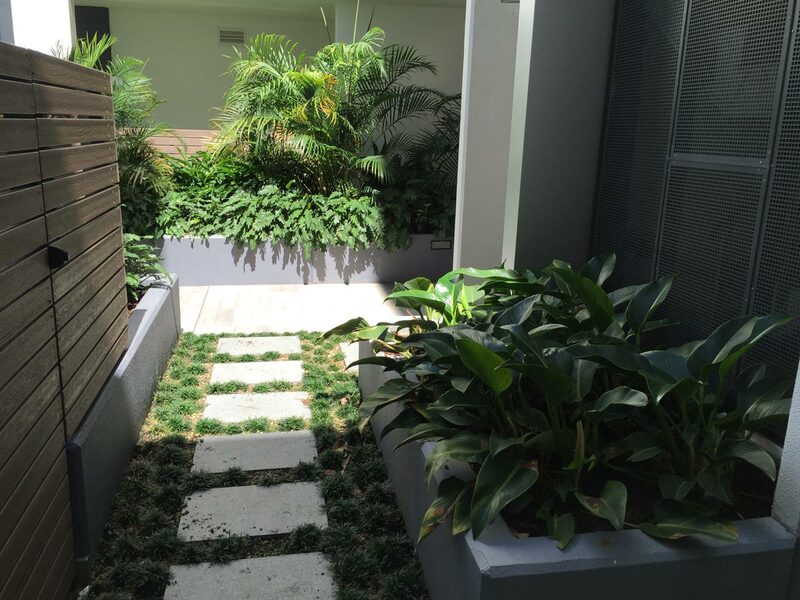 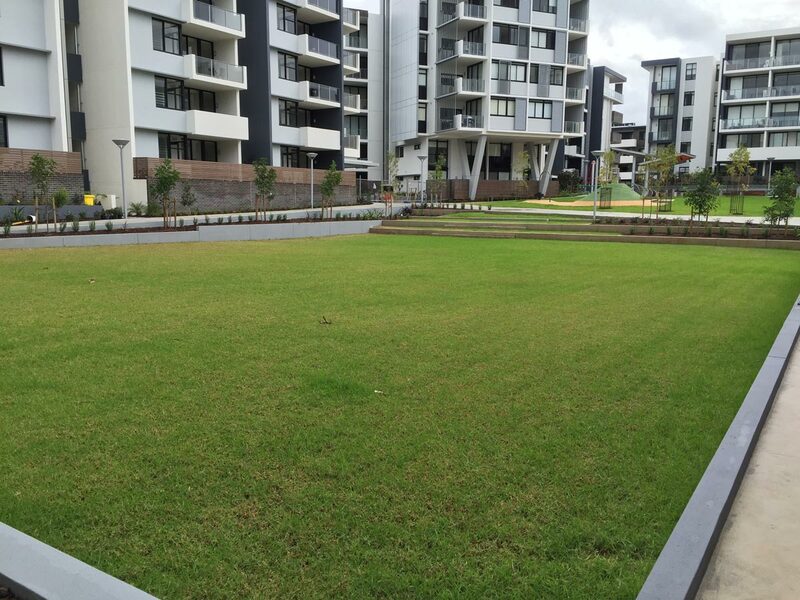 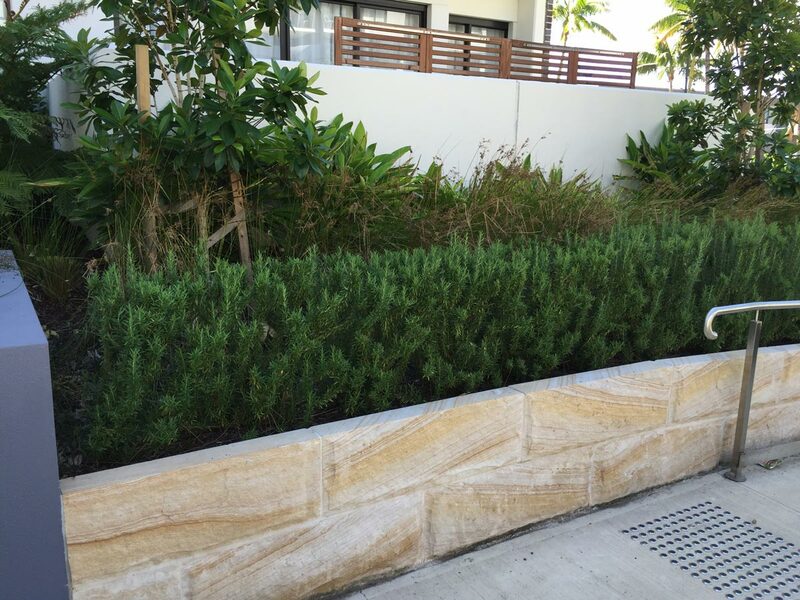 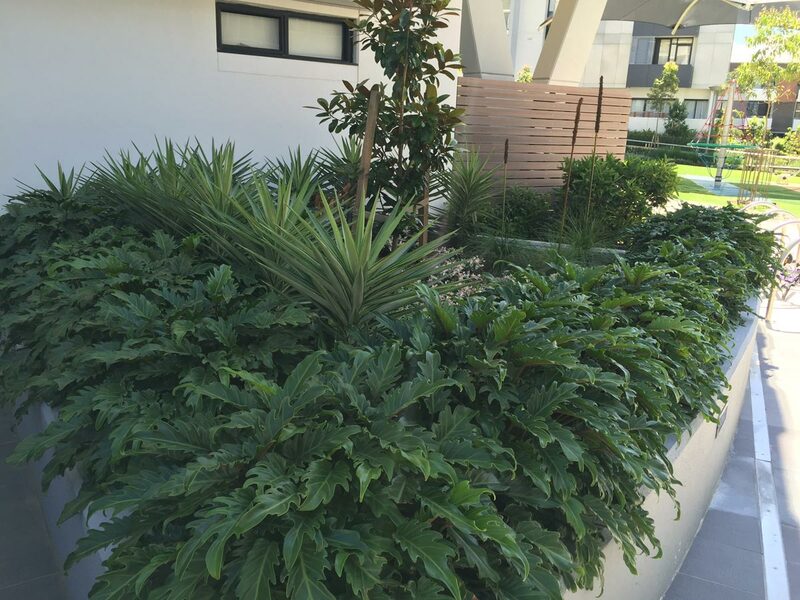 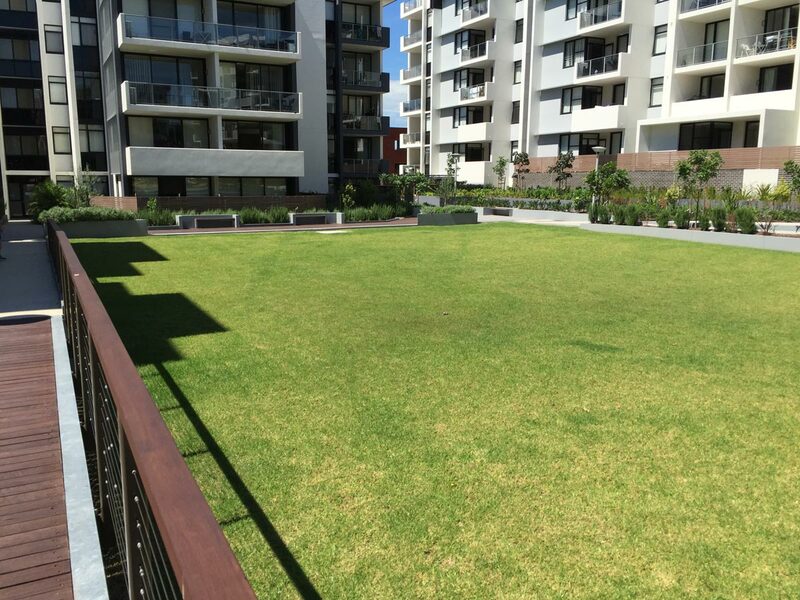 Grand Landscape Services using their years of experience were able to create a spectacular landscaped haven. 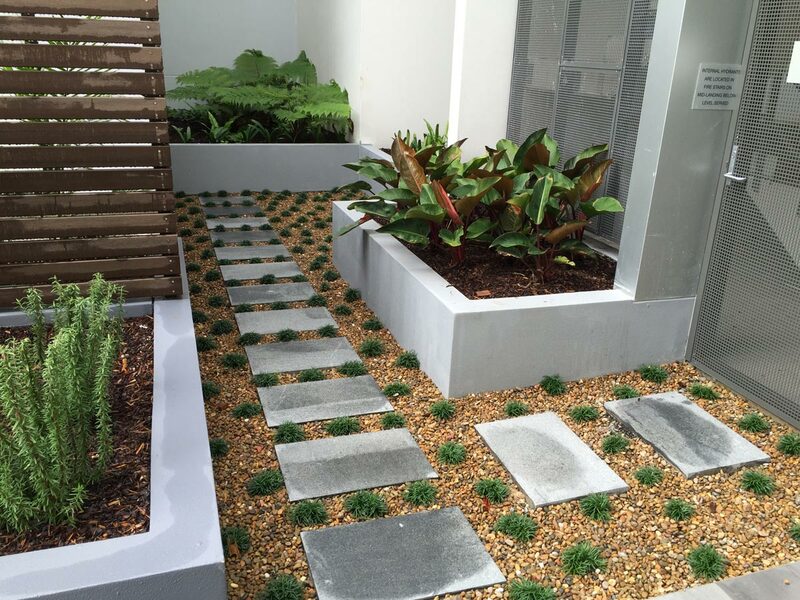 The experienced team exhibited extreme talent and imagination in their creation proving attention to detail will always produce a winner.